Dogs are just the best, aren’t they? It’s hard not to love something that showers you with unconditional love and is just so darn cute! 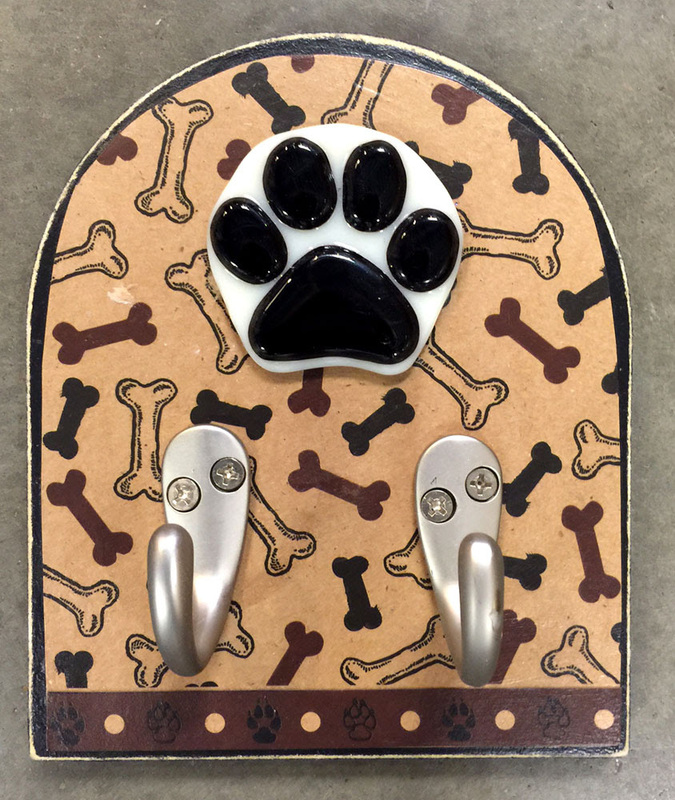 We are particularly fond of doggie projects, so we started thinking of projects that are perfect for dog lovers. Here are a few ideas to inspire you! Losing a beloved furry friend can be devastating. 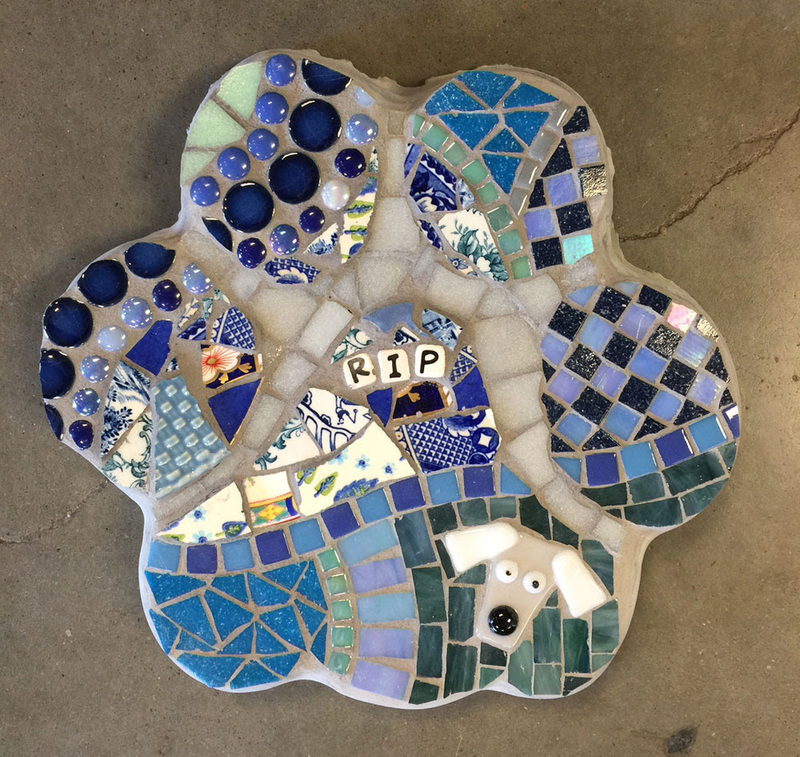 Commemorate the memory of your sweet pup with an outdoor memorial or garden stone. Place it in a flower bed or along a walking path so you’ll always be reminded of your happy days together. This paper-mâché dachshund is actually a Yucandu original! We design most of our paper-mâché animals. Katie painted it and it just so happens to be our #1 Pinterest pin! How fun would it be to paint one of your own? We have a wide variety of paper-mâché animals available for you to paint or decoupage at one of our Art Parties. It’s the perfect way to spend a birthday party with friends or get a group together for a fun night out! Check out some of our DOGGIE artsy additions. They’re perfect to personalize your doggie-inspired projects. 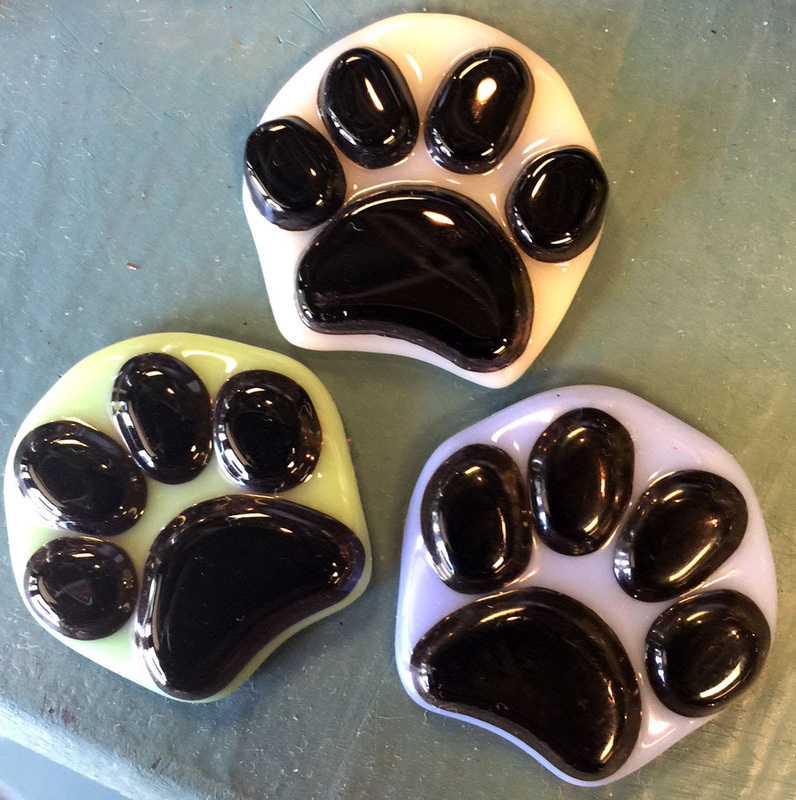 Glass dogs & paw prints made locally, dog tags of all sizes, doggie buttons & tin pins, and more! Meet Cannoli the Shop Dog! We love dogs so much that we have one here at the studio! Have you met Cannoli (Noli, for short), our sweet, lovable shop dog? She’s usually here with her favorite human, Katie. Noli is the subject of many of our projects AND the star of most of our days here at Yucandu. Check out the cool mosaic we did of Noli—it’s easier to do than it looks! Simply send a photo of your pet to [email protected] and we’ll print it for your template. You just glue your tiles right on top of it! Get 20% Off Through July 30th! There’s no better time than July to start a Yucandu project, dog lovers! Through July 30, get 20% off the total of any one project with our Cannoli Coupon! This includes one open-studio project per family, artsy additions, and the studio fee. Hurry in to Yucandu Art Studio today to get started! And don’t forget to say hi to Noli while you’re here!